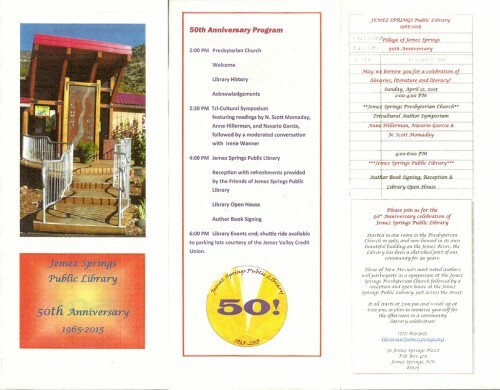 The Jemez Springs Public Library first opened in April 1965. The 50th anniversary was celebrated with an author symposium and open house. 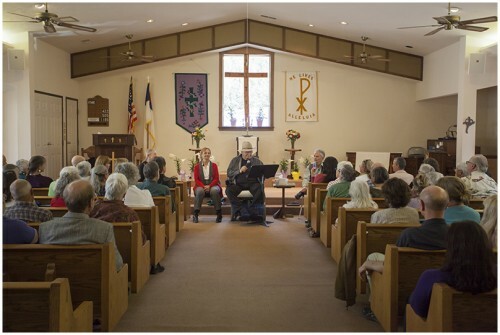 The symposium featured two authors who had appeared in the noted series of author talks that began in 2001. 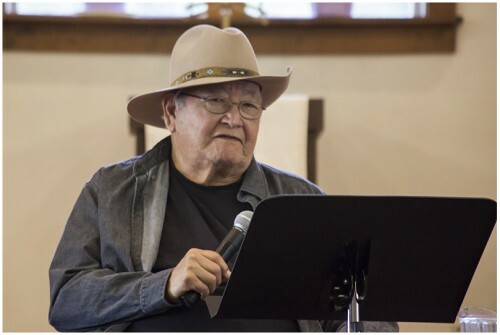 They were N. Scott Momaday, who spoke at the first symposium and moderated the second, and Nasario Garcia, who spoke at the fifth symposium in 2005. 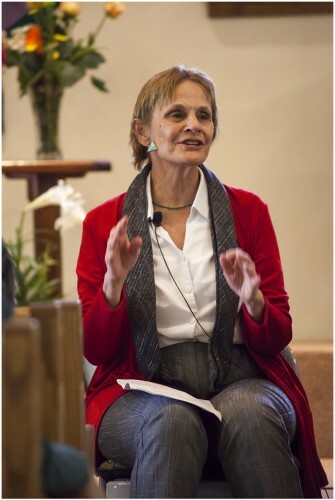 Anne Hillerman was the third author. 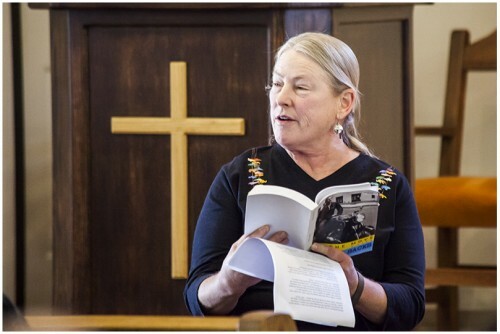 She has continued the popular mystery series written by her father, Tony Hillerman, who also spoke at the first symposium. 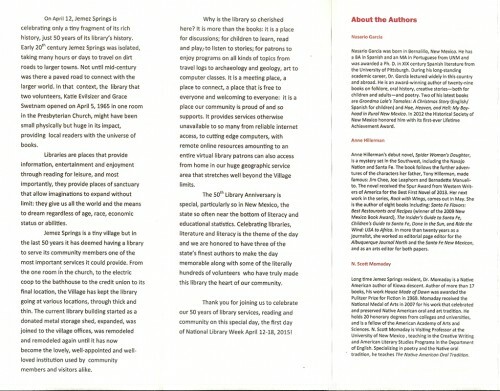 Irene Wanner, local author and book reviewer, was moderator. 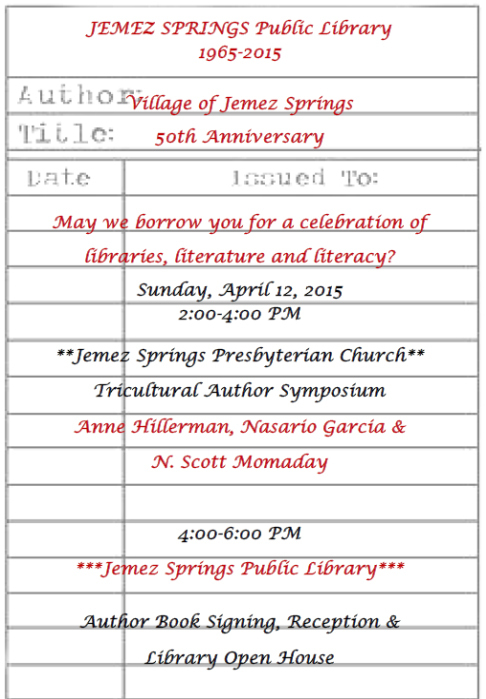 Invitations to the 50th anniversary were in the form of an old-fashioned library book card. 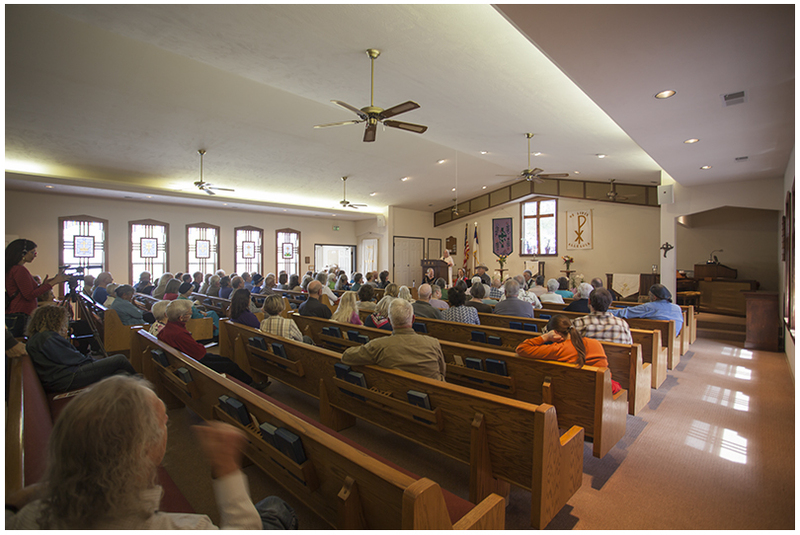 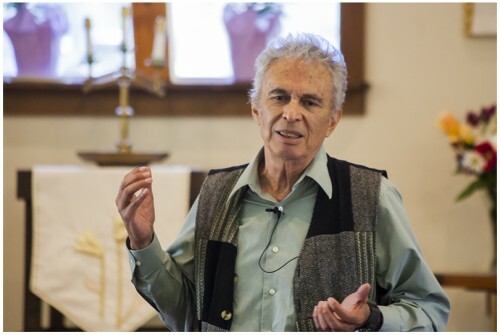 The 50th anniversary author symposium was held in the Jemez Springs Presbyterian Church. 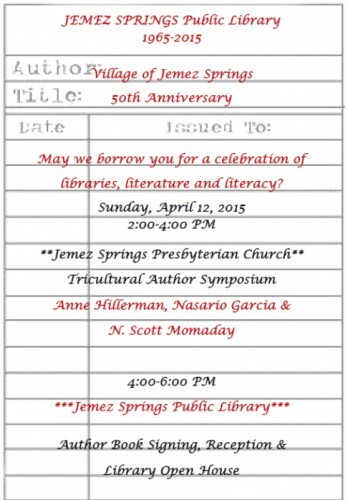 Following is the program for the 50th anniversary symposium.